The best technology is often barely noticed. For example, the ease in which you can get an Uber ride to the airport–it feels like magic. But under the hood there is a terrific amount of engineering to make that seamless process work. When we set out to change the public hearing process, we knew that whatever we built had to be easier than the current system. It had to integrate into the existing daily routines of our users: citizens, staff, applicants, and decision-makers. 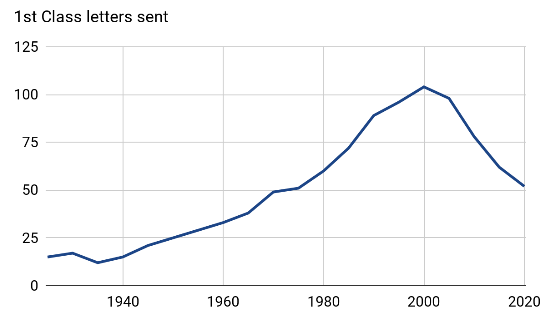 In today’s world, that means email. We’ve created an email routing system that seamlessly integrates with our customers’ lives and daily routines, while keeping personal email addresses hidden and anonymous (think Craiglist; a nice privacy feature). The first thing it does is helps citizens reach the appropriate staff or applicant for each case. The citizen submits their question on the website, and then the system delivers it. When the staff responds, the citizen receives the email. When the applicant responds, both the citizen and staff receives the email. The citizen can simply reply to the email they receive or they can submit a new question. The system handles all of it. This allows staff to track all correspondence and ensure cases run smoothly with a free flow of information. In the last month we’ve been working on something similar for decision-makers, in this case Planning Commissioners. The way it is going to work for Planning Commissioners is a little different. Once they’ve logged in, Planning Commissioners can ask a question, which is routed just to the staff. When staff receives the question, they work to provide the answer, in some cases by getting information from the applicant. Instead of replying to the email, they post the answer on the website. These Staff Responses are only visible to authenticated Planning Commissioners. 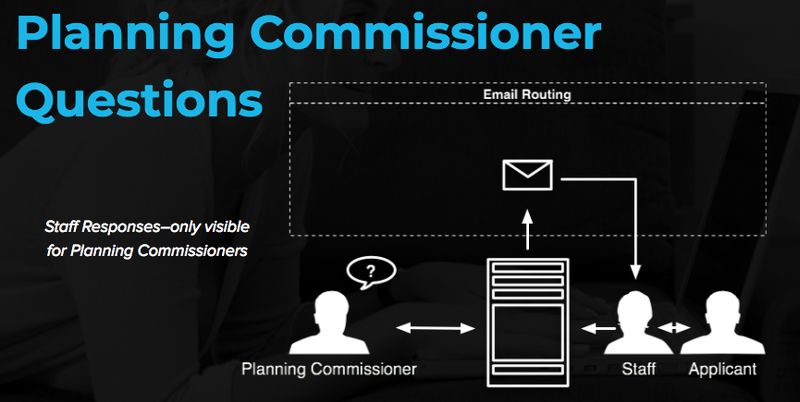 This system allows all correspondence made visible to all Planning Commissioners. So everyone is getting the same information, making a level playing field. It also reduces duplication. For example, if a question is asked more than once by multiple Planning Commissioners, instead of taking the time to reply a second time, the staff can simply point the Planning Commissioner to the website. We’re taking a break this holiday weekend to spend time with our families, but will return next week to continue efforts in getting this add-on launched next month, along with some other exciting features unique to decision-makers. Last Friday we were fortunate to give a presentation at the 2017 APA Colorado State Conference in Telluride, Colorado. In our session, The Next Evolution of Public Hearings, we shared the details of our efforts to help modernize public hearings for local government. This included a discussion of how technology has been reshaping our world and how public hearings are antiquated today, a look at the features of our web application and the process the planning staff at Lakewood has been going through, and lastly the results from our pilot test. The presentation was to a crowd of around 150 folks, including those from planning departments from around the state of Colorado. The overall feedback was terrific, including a lengthy Q&A session. Below are some of the highlights from the pilot test results followed by some of the more interesting Q&A. 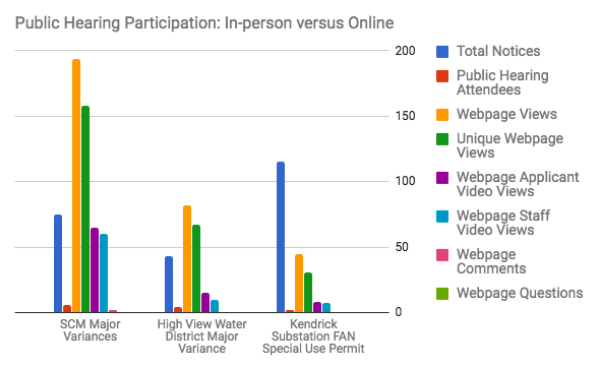 We looked at some metrics that compared the public participation online at lakewoodspeaks.org versus in-person participation. The first three cases that were heard in Lakewood were not controversial and only 2 – 6 people showed up in-person. But we noticed 5x to 10x people watching the online presentation and 3x that number visiting and learning about the case as you can see in the chart below. We also validated the importance of content being accessible on all devices as almost half of the site visits were on mobile and tablet devices. We also shared how the public was notified about the cases, which was some changes to the physical mailers that were sent out. The changes included the addition of a QR code as well as adding the URL to the notices as you can see in the below. What has been Planning Commissioner response? In Lakewood, the Commissioners love the new system. They appreciate the additional opportunity for public input and find the website intuitive and useful. Most of them are looking forward to eliminating their weekly paper staff reports and going completely paperless! How do you plan to control comment spam? This is a balancing act between encouraging maximum public participation through an open forum and full comment moderation. Our beta system has basic comment moderation by City staff for compliance with the comment policy. So far in the testing, comment spam has been non-existent. We will continue to monitor through future cases and make changes if and when necessary. What was the process like with legal? The City’s attorneys were involved throughout the development of the system in Lakewood. While there is certainly a hesitancy on the part of attorneys to do anything new or untested, we’ve found that they recognize the need for and benefits of this structural change and have been willing to work through the procedural issues to minimize legal concerns. Getting the chance to speak directly with a large number of our potential future customers is a thrilling part of conferences like this. We walked away with a number of interested parties who we will be following up with in the months to come. Now… back to the grindstone. We have a number of features that we’re in the midst of finishing up and QAing. Plus–a new look! In just 10 days we’ll be speaking at the 2017 APA Colorado State Conference in beautiful Telluride, Colorado. Our session is called: The Next Evolution of Public Hearings and we’ll be sharing all the details of our pilot test alongside staff of the Planning Department from the City of Lakewood! So–yay! Exhale. Now back to work. Sorry we’ve been so quiet for so so long… we’ve been back in the toolshed working away and today we’re proud to announce we’re live with the City of Lakewood at https://lakewoodspeaks.org/! We’ve been working with the City of Lakewood for over a year now and while we’re just launching publicly, we’ve already tackled a number of major milestones and risks. One of the biggest challenges we faced with bringing public hearings online is how can we replicate the presentations given to the city by staff or applicants? At the in-person public hearing, the audience listens to a detailed live presentation. While the obvious solution is simple–just have staff or applicants record themselves and upload a video file–whether that was realistic or not was a big question. What if staff and applicants weren’t familiar with recording technology? What if they were good at delivering in-person presentations but would stumble trying to do a recording? We recognized that it is a different skill set and could be a deal breaker. Fortunately, the staff at Lakewood found that using Microsoft Powerpoint made it a breeze: you can record audio over each slide individually. This reduces the challenge in recording a single take for an entire presentation (where if you make a mistake, you have to start all over or fix it in post-production). Simple mic and computer setup used by staff in Lakewood. Applicants also rose to the challenge creating phenomenal recorded video presentations and one of our biggest hurdles has been surpassed. Another very major hurdle that we’ve managed to overcome is the changes required to the city’s procedures, both logistical and legal. In order to give citizens time to review and comment on cases before the hearing, all the information must be online weeks ahead of when it previously needed to be completed. To do so, Lakewood Planning Commission changed their schedule and began requiring staff and applicants complete materials three weeks prior to the public hearing date. The legal department had to work to amend their policy to allow online comments to be part of the public record. It took some time to implement but now it’s working like a well oiled machine. So… here we go! Physical mailers have been sent out to citizens in the relevant areas inviting them to visit lakewoodspeaks.org (along with a handy QR code to make it easier to get to the site). We’re just sitting around refreshing our analytics dashboards for the next couple of weeks to see if a Truly Public Hearing works! If you live in Lakewood, we’d love for you to visit the site and let us know what you think.